Rock-like in appearance but scone-like to eat this easy to make recipe was the sort of fun we were up to this morning. With a special auntie's birthday party today preceded by a thoughtful email with this Rock Cake recipe in it from Spud's "GrandMary" (the very same that made him this awesome Harry Potter bookmark!) we decided to do some Sunday morning baking. 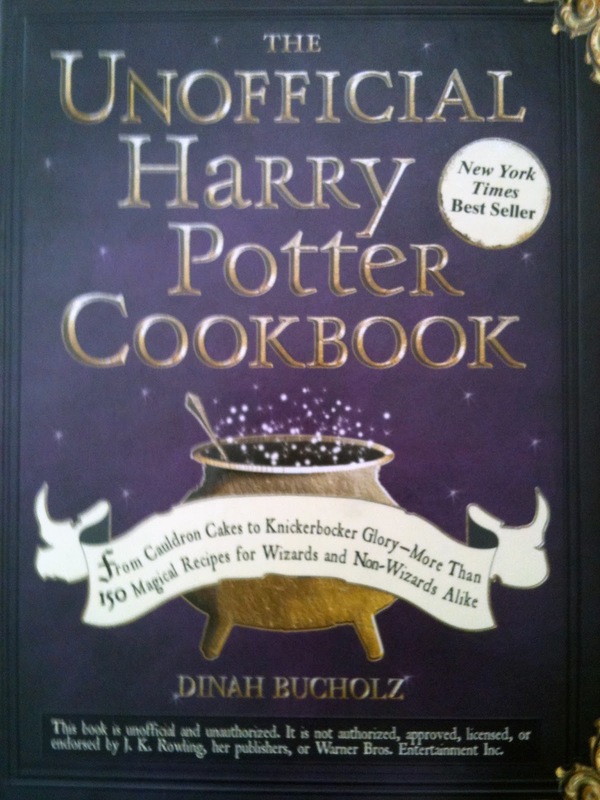 When I showed Spud the recipe for Rock Cakes reportedly made by Mrs. Weasley he remembered that he had Hagrid's version in his very own Harry Potter Cookbook. Chef Spud was all over it .... I performed some sous chef duties. 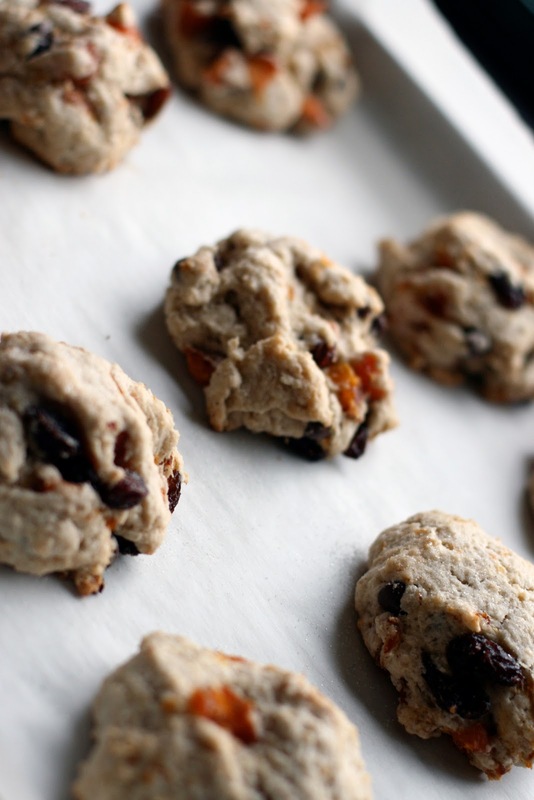 The only modification we made was subbing out half the raisins with dried peaches. I soaked the dry fruit in hot water before Spud added them to the dough. Finally, to appease his cries (I hate raisins!) we "accidentally" dropped some chocolate chips into the dough as well. Oops.